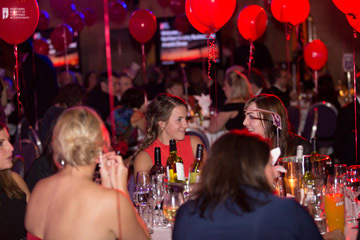 Some of the brightest business brains in accountancy hit on a winning formula at the Northern Society Business and Awards Dinner on 16 October, an event which both recognised the most talented ICAEW students in their field and the role of ICAEW chartered accountants in northern business. 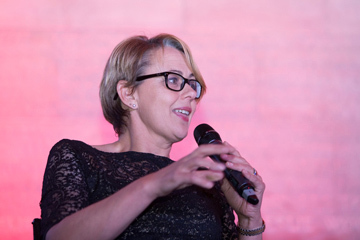 Paralympian and House of Lords peer Tanni Grey-Thompson was among the guests at the event, which attracted 250 people to Newcastle’s Civic Centre for the prestigious awards ceremony. 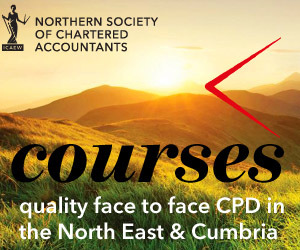 Rob Tindle, President of Northern Society of Chartered Accountants, said the awards provide an opportunity to showcase the most talented and innovative members of the business community across the North East and Cumbria, and recognise the value that chartered accountants offer. Emerging sports star Jade Jones – a leading British wheelchair racer – attending the evening, along with Iain Wright MP, who represents Hartlepool and ICAEW President Andrew Ratcliffe. The keynote speaker at the dinner was Baroness Tanni Grey Thompson. Baroness Grey-Thompson said: “It is a huge honour to be part of the Northern Society Business and Awards Dinner. As a former competitive athlete, I really do believe in the power of awards in bringing out the best in people and recognising those who have pushed themselves further to achieve great things. But also, as a peer, I am thrilled to be part of an event that recognises an industry that makes such a positive difference to UK Plc. 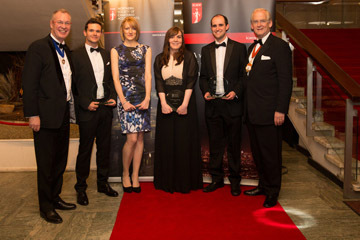 ICAEW Chartered Accountant winner of the evening was Bedale-based Thomas Burt, who claimed the Presidents’ Award Advanced Stage honour. Tom has pioneered a number of specialist accounting areas for Kenneth Easby Ltd, working with charities and landed estates as well as turning his hand to audit, accounts preparation, tax return preparation, VAT returns and management accounts. Providing a key role in IT support, Tom has helped introduce “Xero” accountancy software this year and supported clients migrating to this system. He also takes an active role in training up junior staff and mentors the office’s chartered trainee, and is a keen member of the Kenneth Easby Cricket Team. Winner of the Presidents’ Award – Professional Stage was Newcastle City Council councillor, Michael Burke, who claimed the Presidents’ Award Professional Stage honour. Judges selected Mr Burke for the award after he successfully delivered a number of technically complex briefs for his employer, the National Audit Office. As well as a committed accountant, Mr Burke is also committed to his community, playing an active role supporting a number of important activities. As well as being a councillor, he volunteers as a football coach, and gives up lunch hours to support local school children with their reading skills. George Smith, who trained with KPMG Newcastle, scooped the Order of Merit, Advanced Stage award for finishing in first overall place for top marks in the ICAEW Advanced Stage exams. Joanna from Saint & Co. was recognised for achieving the highest academic standards in her ICAEW exams where she achieved first place for top marks in the ICAEW Professional Stage exams. Linda Collins from Armstrong Watson in Carlisle was honoured for her work helping students break in to industry and supporting young people taking part in the ICAEW’s BASE competition, in which school and college students aged 16-19 compete in business challenges to develop employability skills and understand chartered accountancy. A list of all of the candidates shortlisted for both of the Presidents’ Awards can be found in our earlier news story. Background information on the awards can be found at norsca.co.uk/awards. Our members are part of a worldwide network of 144,000 ICAEW Chartered Accountants who help people do business with confidence.